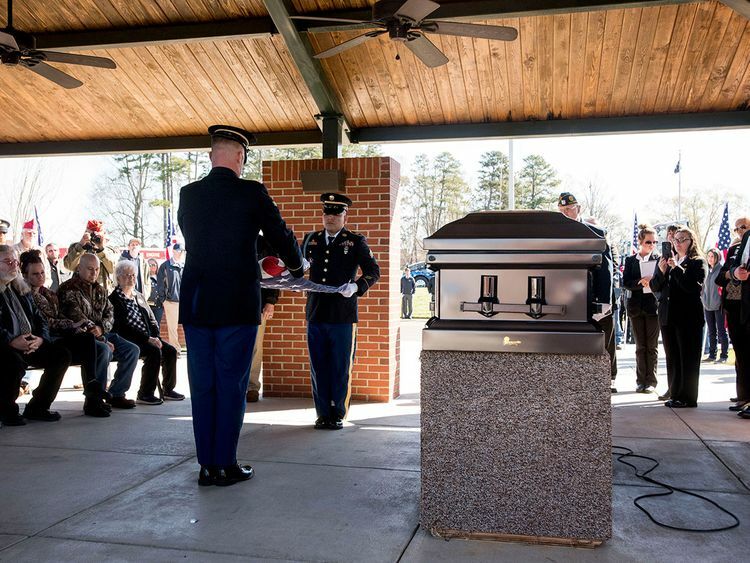 Raleigh, North Carolina: When a Vietnam War veteran died on Christmas Eve with no family nearby, a community of veterans, a friend and military supporters in North Carolina stepped up to make sure he was finally laid to rest with military honours. They ensured that Phillip “Flip” Drye’s military paperwork, delayed by last winter’s government shutdown, arrived. A funeral home covered burial expenses. The Army provided soldiers to fold the US flag and play taps. And more than 100 veterans and others, many of them strangers, attended the service Wednesday at Salisbury National Cemetery. A roommate had found Drye dead of a probable heart attack about 4am on December 24 at his home in Concord, said Drye’s longtime friend, Mark Blackwelder of Concord. Both Drye and Branum said the 35-day government shutdown, which began December 22 and ended January 25, bogged down Drye’s military paperwork, thus delaying the funeral. The funeral home staff reached out to various organisations, including military motorcycle groups, to attend the funeral. The Salisbury Post reported that motorcycles rumbled as the Catawba Patriot Riders and Combat Veteran Riders from Fayetteville led the procession. Three Freightliner “Ride of Pride” trucks followed the motorcyclists. Drye’s rented home “out in the country” was old but liveable, he said. Blackwelder was there often to drive Drye to doctors’ appointments, he said.